‘Salute Your Shorts’ Turns 25: Where Are They Now? Salute Your Shorts, the beloved ’90s Nickelodeon series turns 25 today, and even though it’s been a quarter century since the show first aired, we still hold Camp Anawanna in our hearts. The show, which was based off of a Los Angeles summer camp, featured some of Nickelodeon’s most lovable characters. Last year, the series had a cast reunion to celebrate its 24th anniversary, and it was hard to ignore that all our favorite teenage pranksters have totally grown up (let’s not even talk about how old we feel right now). So, while they’re no longer hoisting each other’s underwear onto flagpoles and telling frightening campfire stories (Zeke the plumber probably still haunts anyone who grew up in the ’90s), most of them have kept pretty busy. After Salute Your Shorts aired, Baily nabbed several TV acting roles including Melrose Place and Star Trek: Voyager. More recently, Baily has established himself as an in-demand voice actor with credits in major films like Frozen, Big Hero 6 and ParaNorman. When Salute Your Shorts ended in 1992, Berwick snagged one last acting role in the film The Positively True Adventures Of The Alleged Texas Cheerleader-Murdering Mom. She then transitioned out of acting entirely and pursued higher education, completing her undergrad at Colorado College and receiving a master’s degree from Stanford University. Currently, Berwick works at a nonprofit called Kiva, which helps people lend money to low-income entrepreneurs and students over the Internet. Michael Bower is still acting and has been very busy since Salute Your Shorts aired its final episode. While he mostly snags small roles (credits range from Tony the Pizza Guy to Fat Schlub and Movie Patron), he seems to work a lot. Bower mostly works in TV and has credits in leagues of popular shows including Bones, CSI and Raising Hope. After playing Telly, Venus DeMilo went on to have recurring roles on major TV shows including My So-called Life, Sister Sister and The Bold And The Beautiful. DeMilo attended Loyola University and, most recently, played a TV commentator in The People V. O.J. Simpson: An American Crime Story. If you don’t recognize the name Trevor, that’s because it’s new. Since Salute Your Shorts aired, Timothy Eyster, who played the lovable Sponge Harris, changed his name to Trevor. Eyster took a break from acting between 1998 and 2013, but has since played a number of small roles (patron, wedding guest, bartender, etc.) in TV shows and short films. Eyster has come out as bisexual and voiced his support for equal rights and gay marriage. 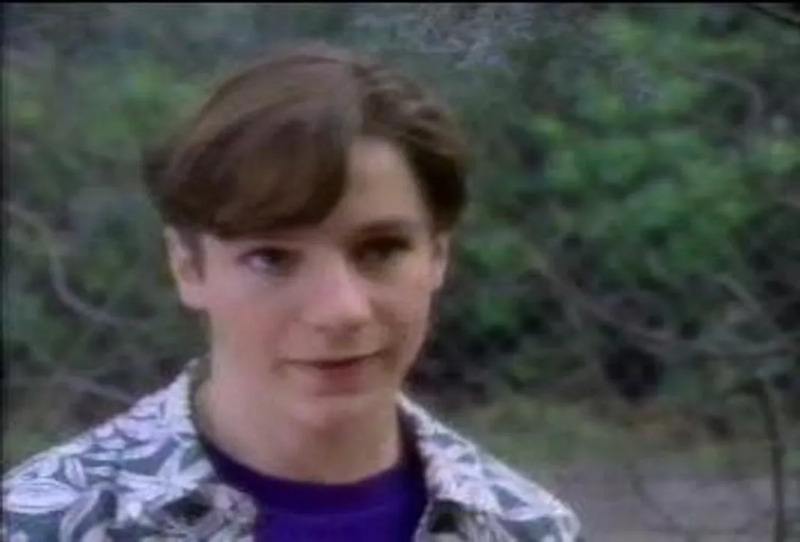 Lucas, who played the popular girl at Camp Anawanna, continued acting throughout the ’90s with small roles on shows like Boy Meets World and The Wayans Brothers. Her largest role since Salute Your Shorts was on Hypernauts, where she played Noriko ‘Max’ Matsuda in all 11 episodes. Lucas left acting in 1996, and has since graduated from Indiana University School of Law and tied the knot. Kirk Baily isn’t the only former camper to pursue a career in voice acting after Salute Your Shorts — so did Danny Cooksey. Cooksey, who played Bobby Budnick, has been doing voiceover work since the ’90s and is quite successful. His numerous credits include beloved ’90s/early ’00s cartoons The Wild Thornberrys, Pepper Ann and As Told By Ginger. He even snagged a production assistant credit on Rocket Power. Most recently, Cooksey did voice over work for the Kung Fu Panda television series. You might recognize Blake Soper as Blake Sennett. After playing Joey the Ray in Boy Meets World and Elman in 3rd Rock From The Sun, Soper left the acting world to pursue music with his band Rilo Kiley. Rilo Kiley released numerous albums, most notably their 2004 breakthrough album More Adventurous and their 2007 major label debut Under The Blacklight. Erik MacArthur has pretty much remained out of the public eye since he left Salute Your Shorts in 1991 to finish high school. He had some minor acting roles throughout the mid ’90s and ’00s, but has mostly remained quiet.